January 1, 2017 In News What is Michelle doing now? 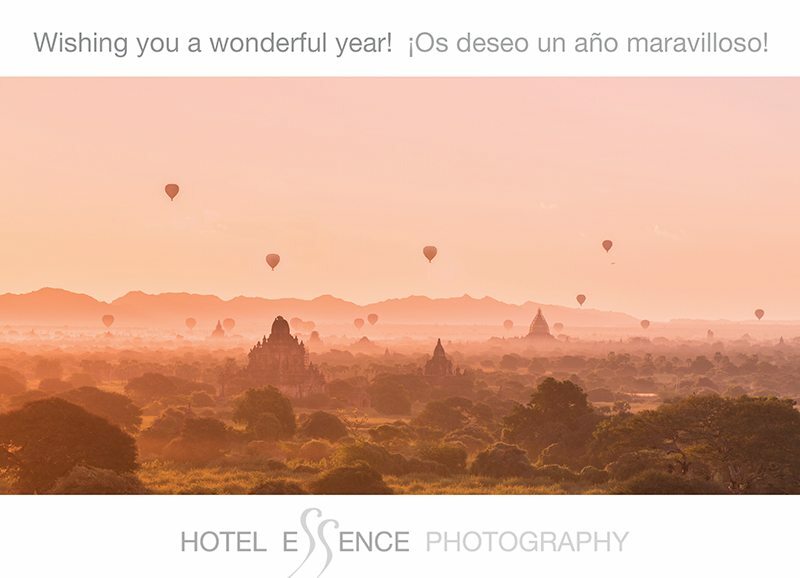 New year, new travels, wishing all our readers and those of Hotel Essence a happy new year! In 2003 Michelle was invited to take part in a think-tank (#QualityHunters), which brought together frequent-flying passengers and service development professionals from around the world. The aim was to come up with practical ideas which would make travel smoother and more enjoyable for everyone. Read more here. Other attendees included @thatjohn, @CharlesRyanTeo, @HolgerLeue, @InflightFeed, @AboutLondon, @airlineflyer, @HelenaKaartinen, @sami1laine and @akuvaramaki. Impressed by the service and the efficiency of Helsinki Airport, Michelle booked a long-haul return flight with Finnair from Bangkok to Helsinki in January. The airline bills itself as offering “the shortest route to Asia”- geographically the shortest way to travel between Europe and Asia. Michelle flew in one of the new Airbus A350-900 (in seat 1A Business Class) with many impressive features including a tail camera, which offers passengers a live view of take-off and landing, interactive route maps and free onboard WIFI. The service was absolutely top-notch and Michelle loved the warm, super-soft duvets and the amenity bags with stylish prints by Finnish designer Marimekko. She was also delighted bythe blueberry juice cocktail servedin signature Ultima Thule glasses, which reminded her of vintage glassware from the 1970s. Now that she has formed part of a behind-the-scenes Finnair workshop, and three years later flown long-haul with the airline, Michelle wouldn’t hesitate to recommend it. The flight and service were flawless, but not only that – each club class passenger has a generous 96kg luggage allowance, plus two pieces of hand luggage. This is ideal for any photographer flying on assignment with heavy photography equipment. The photographs for this project were shot in December 2016, however the project remained highly confidential and wasn’t announced to the press until January 2017 when Adrian Zecha was about to launch his new brand called Azerai. The word Azerai comes from Indonesian hotelier Adrian Zecha’s initials and the Persian word caravanserai – resting place for travellers with a central courtyard. Zecha’s first property for his new Azerai brand is located on a UNESCO World Heritage Site in Luang Prabang, Laos. The hotel was built using the footprint of the old Phousi Hotel, constructed in 1961. The architect of the new property is Pascal Trahan, who has worked with Zecha on many projects, and together they have created a beautiful combination of Laotain and French colonial architecture. According to a local anecdote, in the city of Luang Prabang no building can be higher than the tallest coconut palm, which lends the city a low-rise, graceful feel. The hotel is built around a central courtyard with a total of 53 guestrooms, each with its own private balcony or terrace. The Azerai brand is described as offering ‘affordable luxury’, with the signature understated elegance of Adrian Zecha. Michelle was commissioned to provide the opening hotel photography, which included the beautiful, colonial style lobby; the restaurant pavilions and lounges; the central courtyard and pool;the various room categories; the hotel façade (which was quite fun as a total of 10 people, including the GM, were needed to stop the traffic outside the hotel and adjoining night market); views to Mount Phousi; night shots; yoga room; gymnasium; and the incredible massage retreat. As with any hotel in the world, the destination is as important as the hotel, and Luang Prabang has so much to offer the travellers. Many of the excursions were documented photographically by Michelle, including walking with the elephants, local festivals, working monasteries, morning food markets, the famous evening craft market, the Mekong River and the Kuang Si waterfalls. Together with the Hotel Essence details, this not only covers the initial property of Adrian Zecha’s new brand Azerai, but also of the location itself. We all know that good hotel photography attracts potential guests, however the all-important location is often forgotten. Fortunately the Azerai marketing team have concentrated on both – not only the hotel, but the destination itself, which was included in the photographic brief right from the beginning. Within the gardens of the hotel, next to the swimming pool, is a 200-year-old Banyan tree, giving a feel of communing closely with nature, history and spirituality. The colour palette of Luang Prabang consists of charcoal greys, lush, dark green foliage, teaks, and beiges, creating a calming, soothing visual experience, both highly attractive to capture on camera and extremely soothing on the eyes. Often on a hotel photo shoot, neither Michelle as photographer nor her crew have time enjoy the spa. However in the case of Azerai, each morning the spa receptionist would ask the crew which treatments they would like to have that evening! This hotel is rated four-star, although the service is undoubtedly that of a five-star establishment. For hotel-lovers around the world Azerai, the new brand of Adrian Zecha, is definitely a name to watch in the future. Journeying along the Ayeyarwady River in total luxury, the Strand Cruise features butlers, rooftop swimming pools, cocktail bars, high tea, award-winning chefs, concierges, and entertainment. Once off the cruise,the views were a total contrast but no less beautiful. Contemporary art is all around us – you find a photograph-worthy image on every corner.